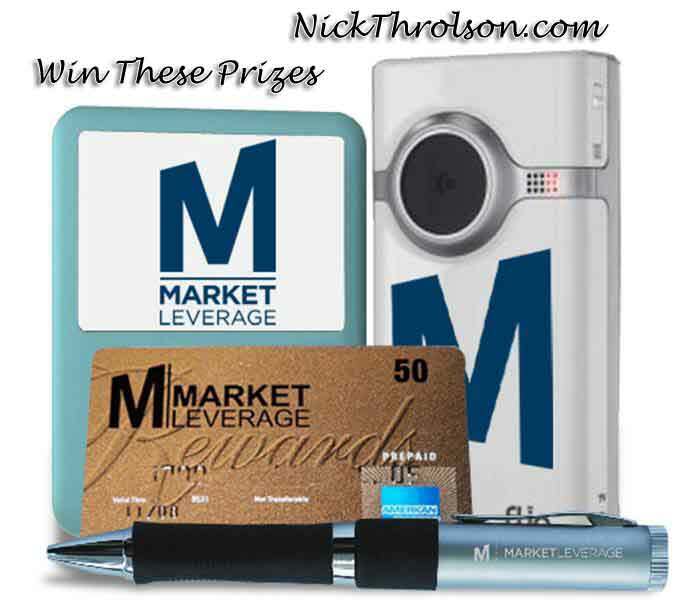 Update To The Market Leverage Summer Blogging Contest As seen in the picture there is a an Ipod Nano to be Won lucky 2nd place will be getting the Amex $50 gift card & an Ipod Nano from Market Leverage So far I have 20 entry's into the contest some emails need to be activated in order to count in the contest. I want to thank everyone who has entered the Contest wish everyone the best of luck. Don’t worry dude.I have confirmed my subscription and blogged about the contest too…. Rohits last blog post..Show off your Twitter follower count with a chicklet ! !